I’m using the wordpress plugin for my website Indie & Folky Me. Opening a lightbox makes sense when you are playing a video but unnecessary when you are playing music. The lightbox can be annoying so i propose to add an option that allows visitors to stream the music directly from the thumbnail. You can for example press on the thumbnail to play the music and press again to stop. Actually, it does that in the magazine mode right now. In list and gallery mode it opens up in a lightbox. We could still keep audio embeds in the thumbnail instead of opening up in the lightbox. Thanks for the suggestion. we will implement this. Thank you that would be great! I didn’t know it does that in magazine mode but I still prefer to use lists or anything similar because the design is much lighter for a music blog. @IndieFolkyMe we are considering a small player at the bottom right of the browser window for list and gallery layouts. 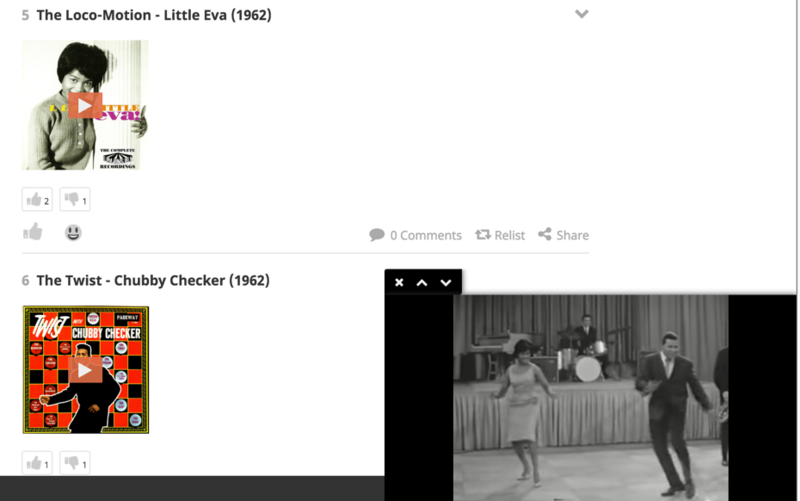 The user would still be able scroll and view the list/read the page while the music is playing. It would be resizable, even minimized, and they’d still have access to the player functions.